(2nd LD) S. Korea to cut residential electricity bills for July-Aug.
SEOUL, Aug. 7 (Yonhap) -- South Korea will adjust the residential progressive electricity tariffs for July and August to ease the household burden from heavy electricity bills caused by the unprecedented summer heat, the energy ministry said Tuesday. 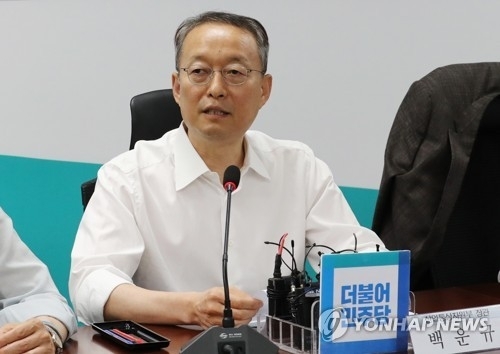 The Ministry of Trade, Industry and Energy said it will temporarily revise the first two stages of the progressive tariffs for residential power use, which would save about 276.1 billion won (US$245.2) in energy costs for the peak summer season. "(The government) will temporarily ease the progressive electricity rates and come up with ways to help underprivileged communities remain cool," Minister Paik Un-gyu said during a meeting with ruling Democratic Party lawmakers. The state-run Korea Electric Power Corp. (KEPCO) applies the three-stage progressive rates for residential power usage, which creates a three times difference in electricity bills paid by homes using a lot and those that are more thrifty.